This trip involves daily Mandarin classes taught while traveling through China’s beautiful and exciting eastern coast. Our Mandarin lessons are customized and relevant to the students’ journey at every step of the way. A wide range of lessons, ranging from oral to presentation style classes, will be bolstered by real world situations in which students’ can apply the theory they learn. Whether we are amongst bamboo forests, the skyscrapers of Shanghai, or the ancient palaces of Beijing, students are sure to walk away from this trip feeling confident in their own language skills and convinced of the practicality in learning Mandarin. Our school trips are completely customizable and can be tailored to meet your requirements. Additional destinations that are available for this theme include Shaolin, Chengdu, Yunnan, Shandong and Fujian. Speak to a specialist now to find out more. Arrive and transfer into the city. After checking in, students will be given a trip briefing about what to expect during their time in China. The afternoon is spent acclimatising to China and taking a light tour through the world’s most populated city; Shanghai. Students go on a walking tour of People’s Square & Nanjing Road where, every day, one million people shop and upwards of a billion RMB (1,000,000,000,000) changes hands. We then go to the world’s biggest Starbucks! This roastery not only delivers its famous coffee but also some history and insight into how they make their signature blends (drinks not included). (Mandarin lessons begin in Day 2 – want one on this day too? Just let our specialist know). Finish the evening with a traditional Chinese welcome dinner. The day kicks off with a rigorous series of Mandarin lessons (Make sure to let us know your students’ Mandarin levels before you come over). After an academic morning, it’s time to stretch our legs with a tour of Shanghai’s dramatic financial districts, Lujiazui. We will head to the top of the Pearl Tower afterwards. In the evening, our guides explain Shanghai’s colonial history as we walk around The Bund. We finish the day with an evening cruise on the Huangpu River alongside this historic district. (Ask our specialists what worksheets/interactive activities we have available for this day). In the morning, we continue our lessons from the previous day. Students then visit Old Shanghai to for the Yu Yuan Gardens and the nearby City God Temple Bazaar to see the local markets in action and play our Mandarin Scavenger Hunt game. 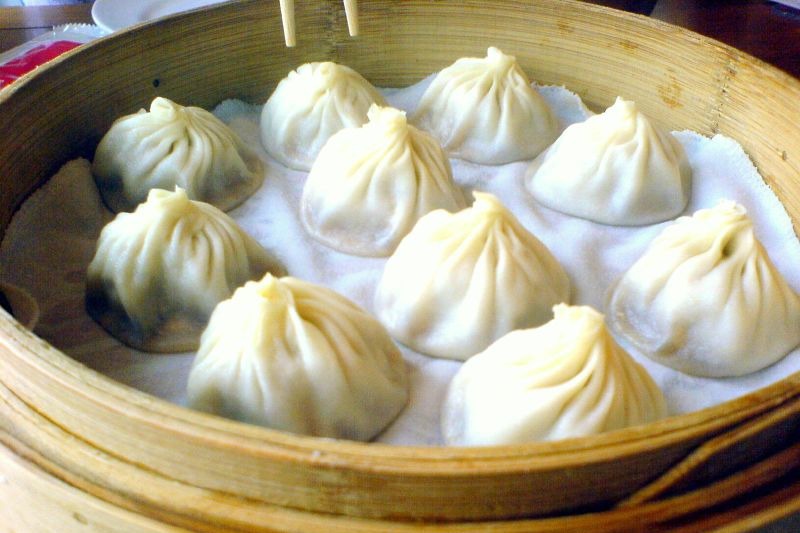 For lunch, we tuck into Shanghai’s famous Xiao Long Bao dumplings. Continuing our gastronomical journey, we join a cooking class to learn to make some of China’s most classic dishes and try them for dinner (already know what you want to learn how to cook? Just let our specialists know). Finally, we finish the evening with China’s best circus act: the spectacular ERA acrobatic and theatrical performance. Today students will be participating in a whole day school exchange at a Chinese school, specially matched to your educational interests (do let us know what they are!). 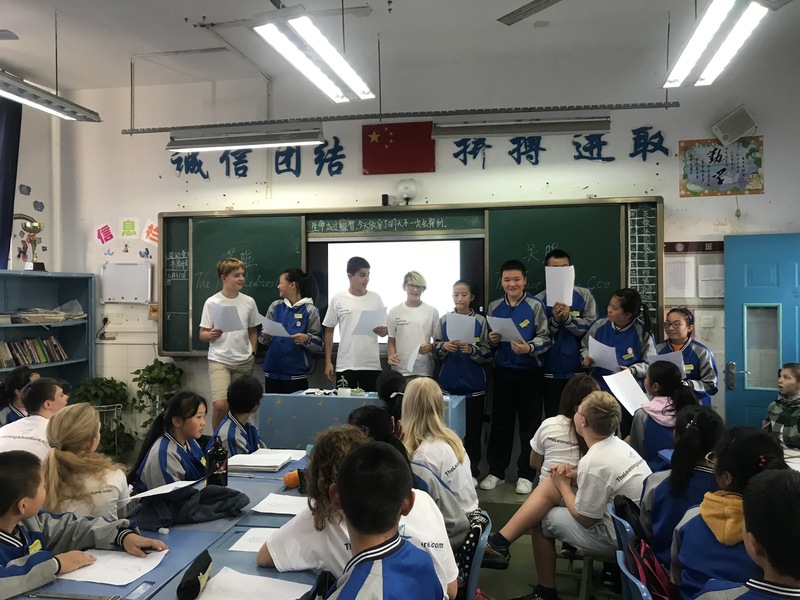 Typically this involves a school tour, joining some lessons, playing some sports, eating lunch together and participating in other various activities alongside Chinese students. Your students will be expected to prepare a small speech or performance for the welcoming ceremony beforehand – it’s a great chance for students to put their Mandarin into action! Afterwards, we continue with our Mandarin lessons but segue into some cultural activities such as Fan Painting and Tea Culture. In the morning, students transfer into China’s most beautiful bamboo forests – bamboo being an important part of Chinese culture – in Moganshan. We will be hiking through the emerald forests and visiting Chairman Mao’s summer home. Students undertake a midway review of their learning so far where they will be asked to make presentations – we will award the best student with a special Learning Adventure prize! We will be visiting West Lake in Hangzhou today, an unparalleled example of the classical eastern garden style and a UNESCO World Heritage Site. Gardens – or rather, landscaped parks – are inextricably related to poets and poetry in China from ancient to modern times. Students will be taught about the iconic structures and rules that govern these retreats of inspiration and reflection. After a short poetry class, students will take a walk through Hefang Ancient Street. Finally, we board the night train to a city with a history spanning more than three millennia; Beijing. We start our Beijing experience with none other than the Temple of Heaven. 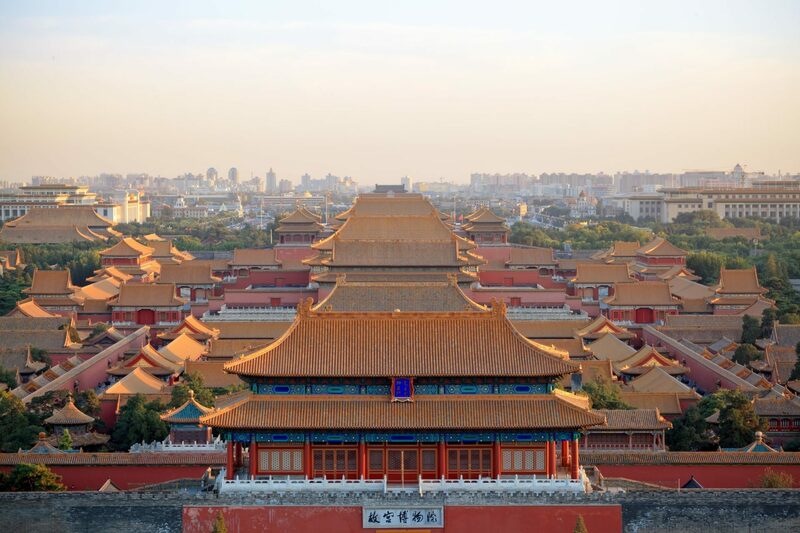 Originally where the emperor participated in religious rites, the complex is a stupendous feat of classic imperial Chinese architecture and was thus named a UNESCO World Heritage Site. After a tour, students engage in a traditional tea ceremony in a park within. Then, students will be led on a guided tour through Beijing’s Hutongs – the old alleyways that have served as local neighborhoods since the 1200s. We wrap up the day with Chinese Hot Pot: a boiling, fragrant broth used for self-cooking an assortment of meats and vegetables. A China must-try! Continuing our tour of Beijing, we start the day by visiting the Summer Palace and its temple complexes. Students walk through the grounds and then take a wooden boat across the palatial lake (boat only available April – October). Then, it’s on to Tiananmen Square, the Forbidden City, and Jingshan Park for a panoramic view of no less than three UNESCO World Heritage sites. After a Mandarin lesson on food, we finish the day by trying different Chinese delicacies at the Wangfujing Night Market. In the morning, we go back in time as we travel to a secluded and incredibly beautiful section of the Great Wall while avoiding the crowds. Students will do a short morning hike. We return to the city for a Mandarin lesson before students test their bargaining skills at the Pearl Market – one of China’s famed ‘fake markets’ – for souvenirs and other knick-knacks to bring home (ask our specialist about our Pearl Market Scavenger Hunt). We say goodbye to our guides and trip leaders and transfer back to Shanghai for the flight home. We encourage students to apply what they’ve learned from their experiences back at home! Specialized Mandarin instruction that is based on geographical location, and an in-depth understanding of China’s history both modern and ancient. An appreciation of cultural customs and practices ranging from tea ceremonies to marketplace bartering.